It is safe to say that almost everyone who is providing care for a loved one experiences some level of stress. However, in some cases, unaddressed caregiver stress can become caregiver burnout, a much more dangerous issue for both the caregiver and for the one receiving care. Are you experiencing caregiver stress? Take steps before it becomes caregiver burnout! Sadly, caregiver burnout also increases the risks for your loved one. As you become more and more depleted physically, mentally, and emotionally, the level of care you are able to provide drops dramatically. At its extreme, caregiver burnout can even lead to neglect or abuse of the one requiring care. Once a caregiver reaches a point of total burnout, caregiving is no longer a healthy option for the caregiver or for the one receiving care. What can you do to keep that scenario from playing out in your family? Where can you turn for help? In the case of caregiver stress and burnout, an ounce of prevention really is worth a pound of cure. If you discern that you are experiencing more than a normal level of stress while caring for your loved one, it is best to take proactive steps to address stress before it progresses to caregiver burnout. Focus on things you can control. Rather than stressing about things over which you have no control, concentrate on the positive changes you are making in the life of your loved one by providing support and care. Celebrate small successes. Even if your loved one’s physical or mental health is still declining, you can take joy in knowing that you are making him or her as safe and comfortable as possible. Laugh every day. Laughter truly is the best medicine, and the human spirit is amazingly resilient with a little levity added to each day. Remember your responsibility to your own health. Make an effort to eat well, exercise, meditate and get the appropriate amount of sleep each night. Even if you have no time for anything extravagant to pamper yourself, take a few minutes each day to do something just for you. While all these are excellent tips for caregivers experiencing stress, the reality is that sometimes more is needed. If, despite your best efforts, you find that caring for your loved one is more than your family can handle alone, help is available. Assisted living communities offer a safe and comfortable environment where your loved one can receive appropriate levels of care as physical and mental health declines. Choosing this option does not mean that you are a failure as a caregiver. Rather, it means that you have a realistic view of what you can and cannot handle, coupled with a realistic view of your loved one’s needs. 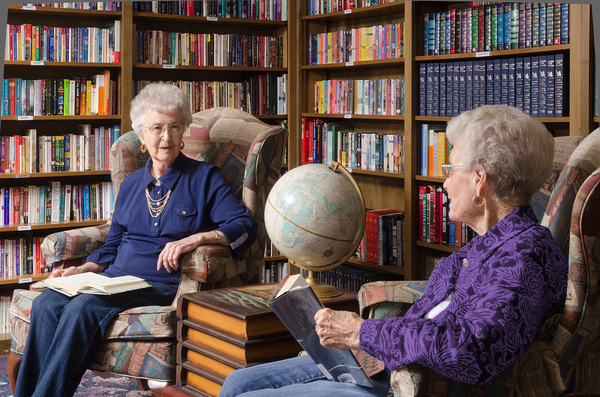 Assisted living communities provide a safe, comfortable environment for your senior. Sometimes, making the choice to move a loved one to assisted living is a traumatic one. Having a one-on-one conversation with a care options advisor can help you determine the right care setting for your senior, one that harmonizes with your family’s wishes and provides the best caregiving solution available. Please contact us today to speak to a care advisor and avoid the dangers of caregiver burnout.